Political Highlights is sent weekly on Wednesday lunchtimes. 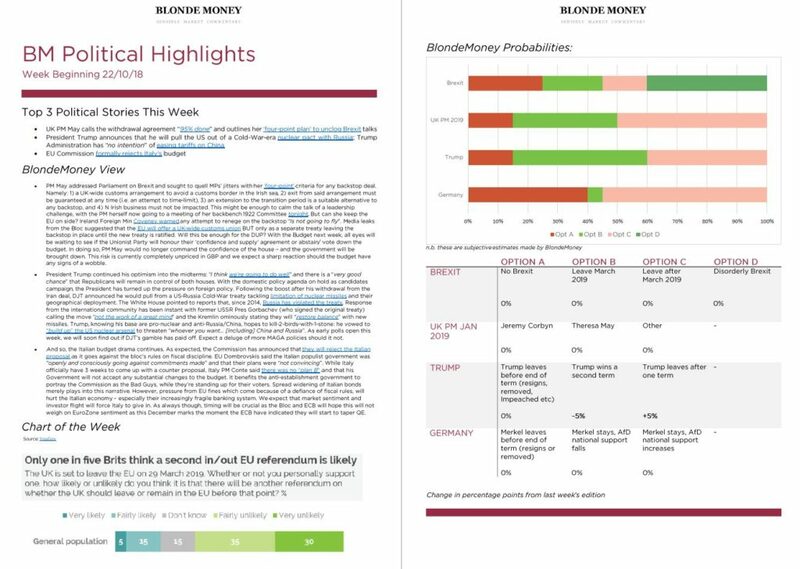 We aim to give you a quick overview of the biggest political stories from the UK, Europe and the US in under 2 pages! 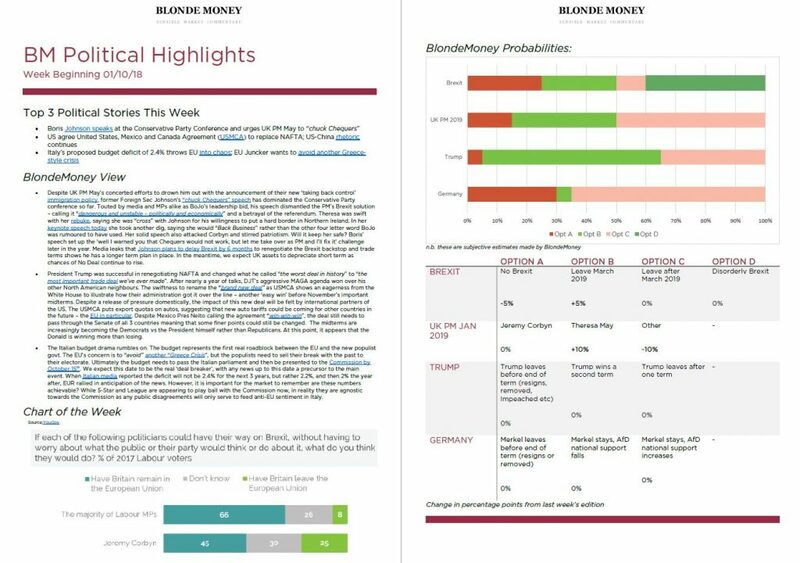 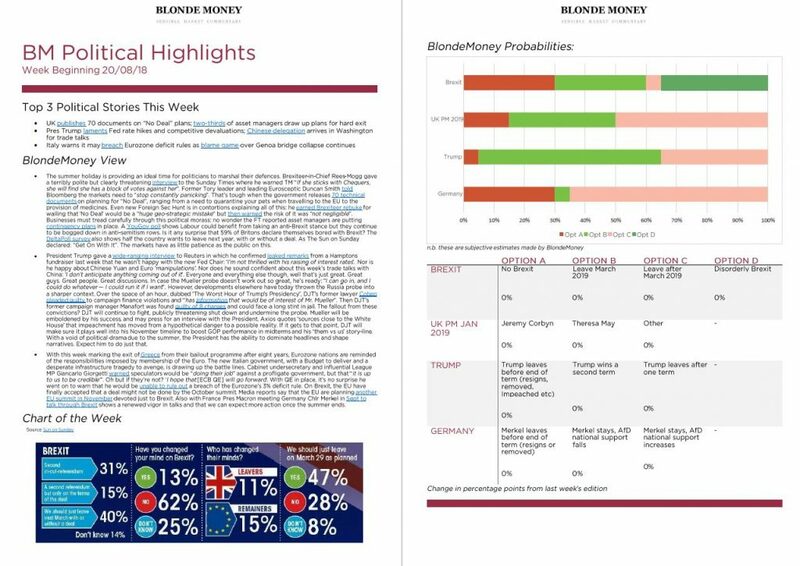 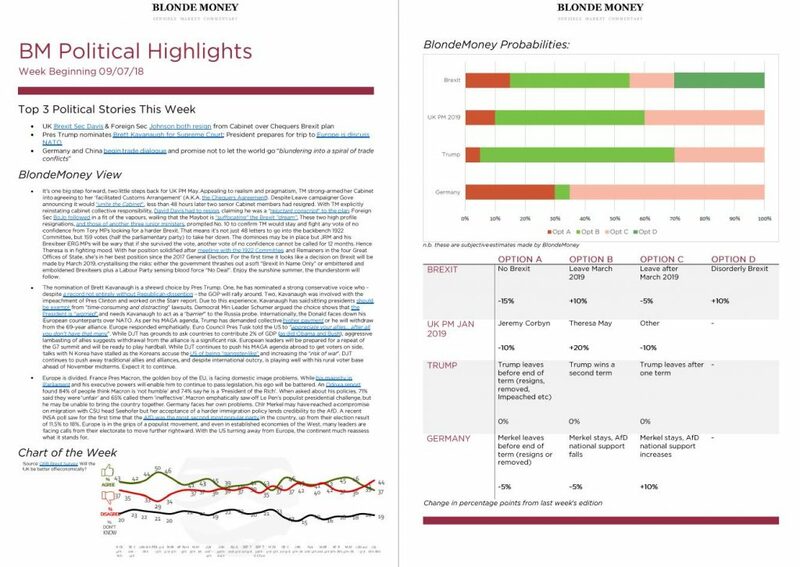 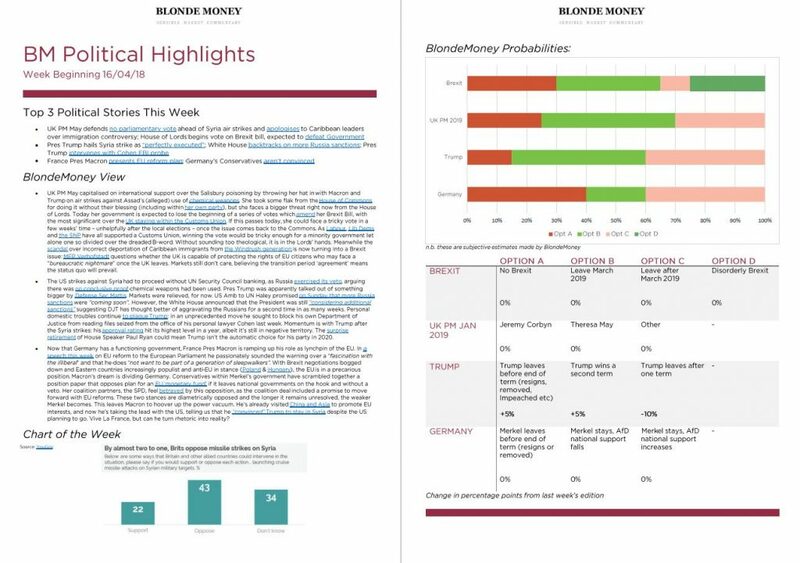 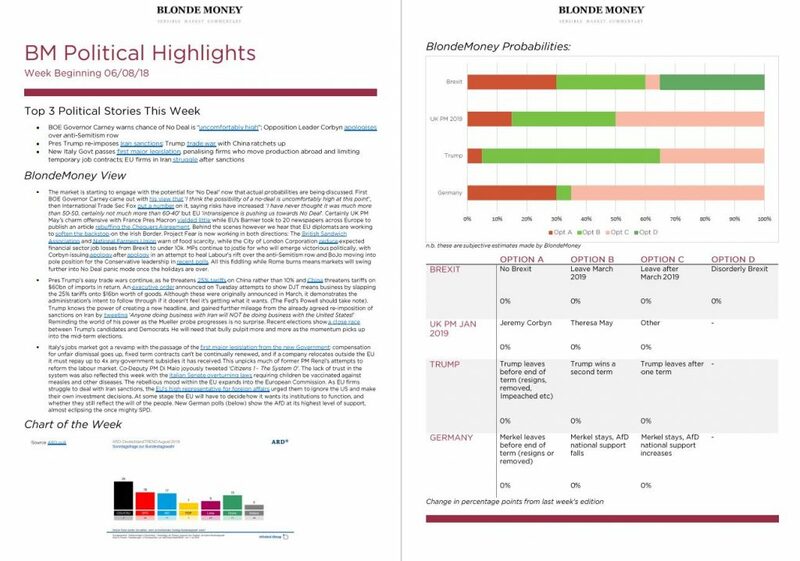 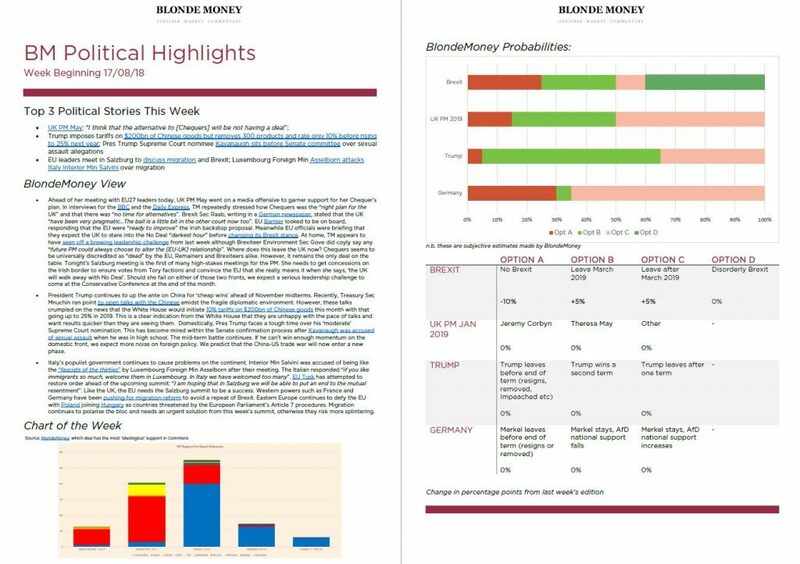 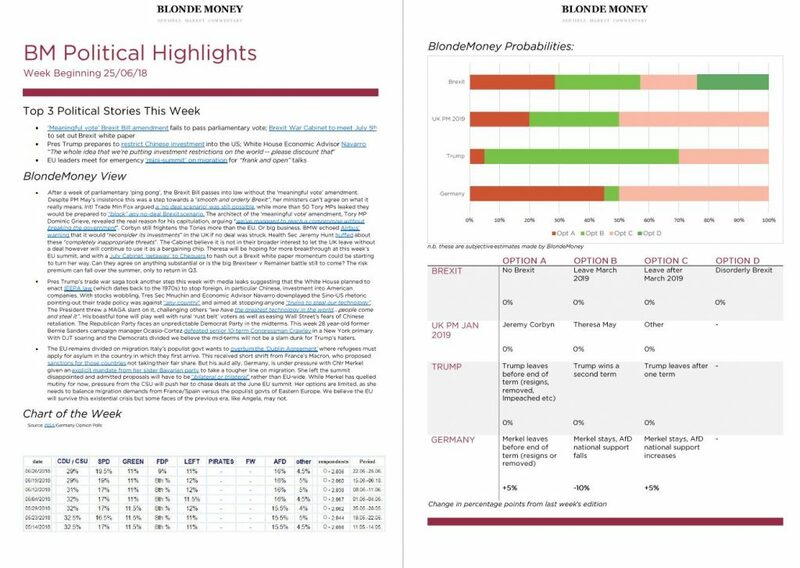 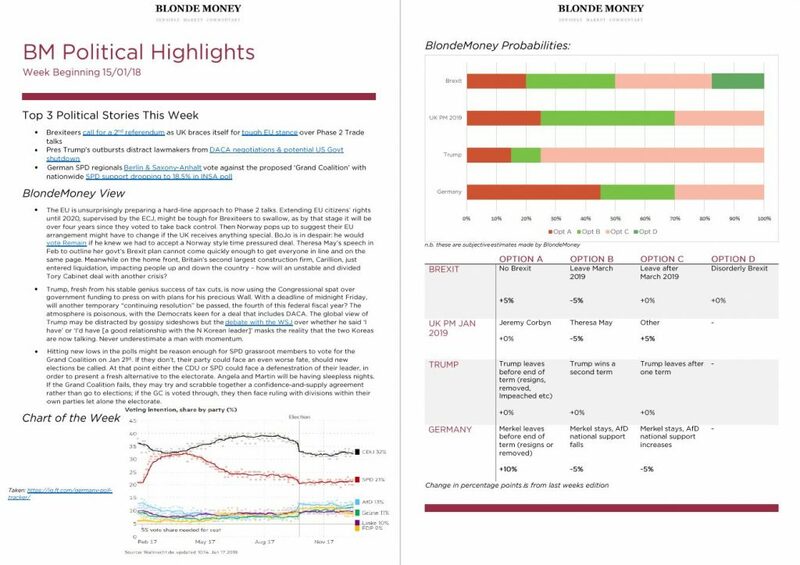 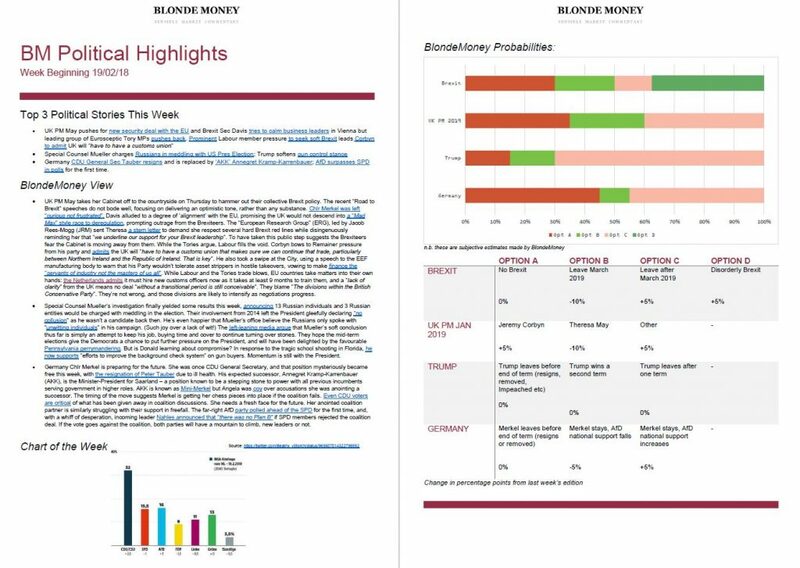 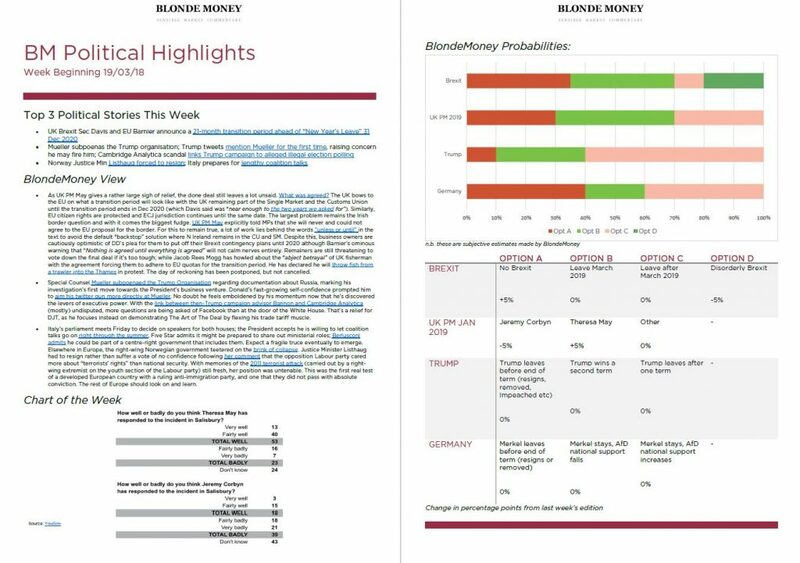 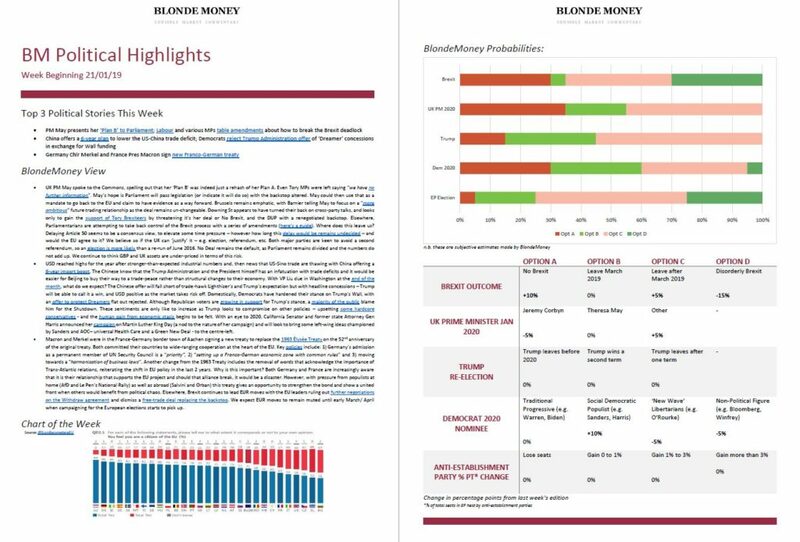 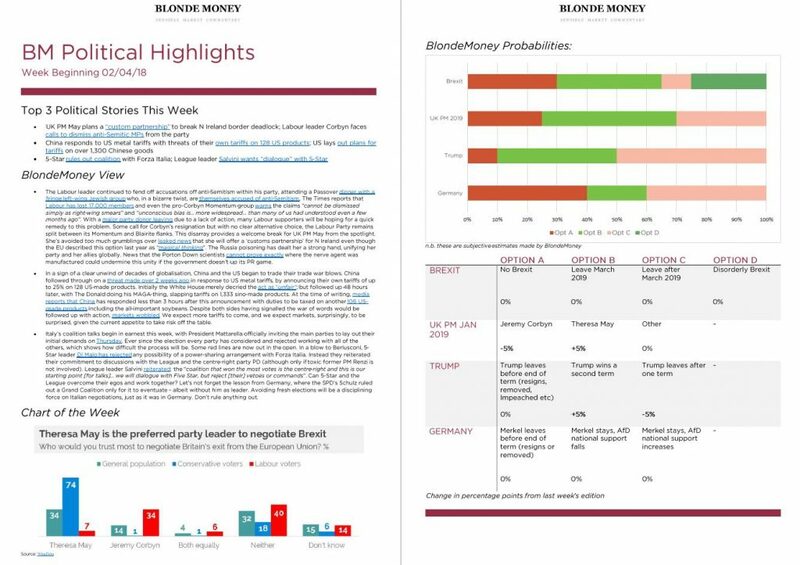 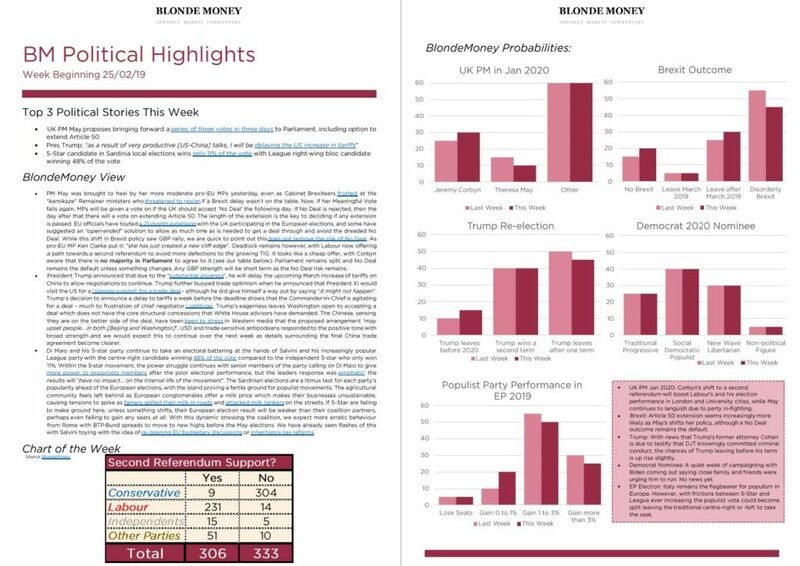 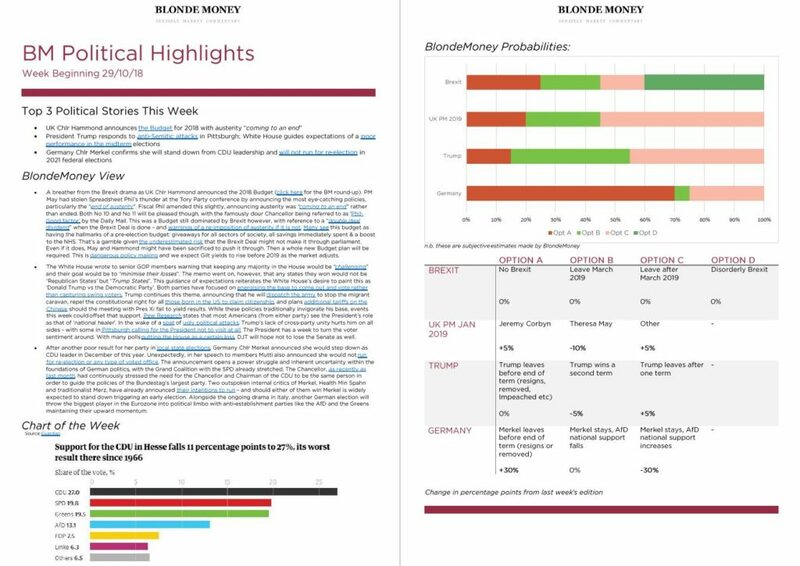 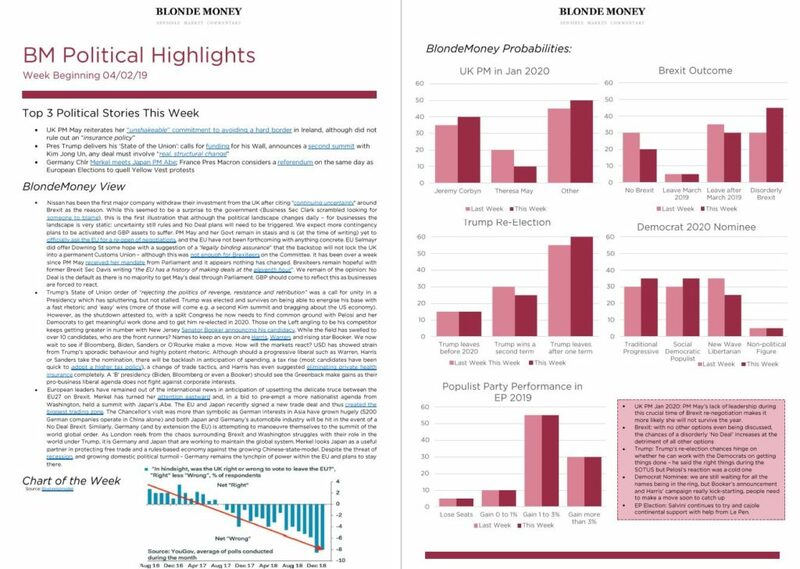 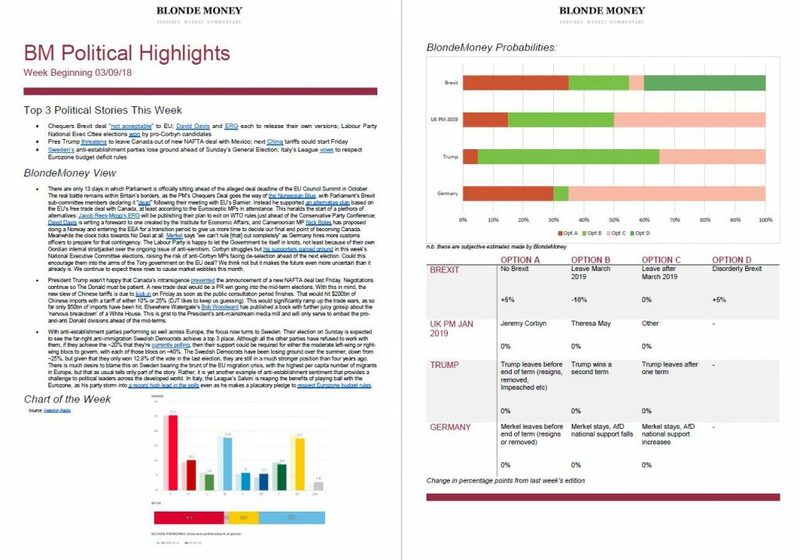 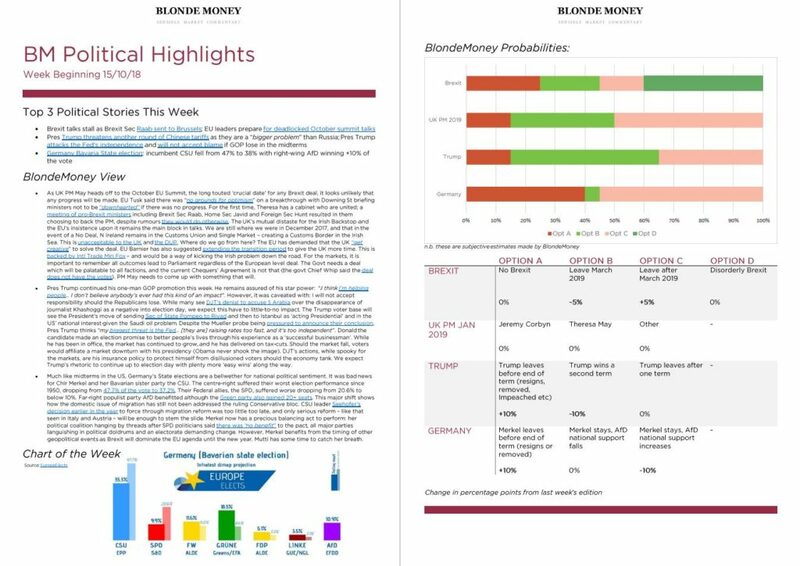 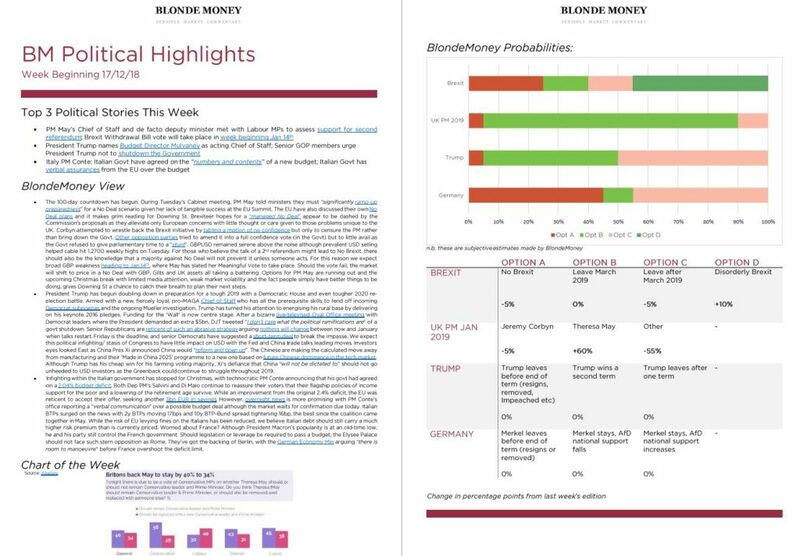 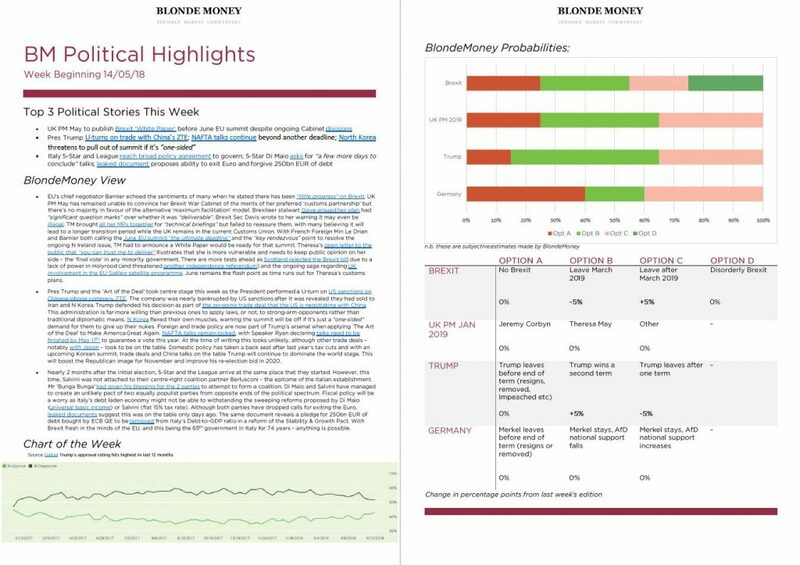 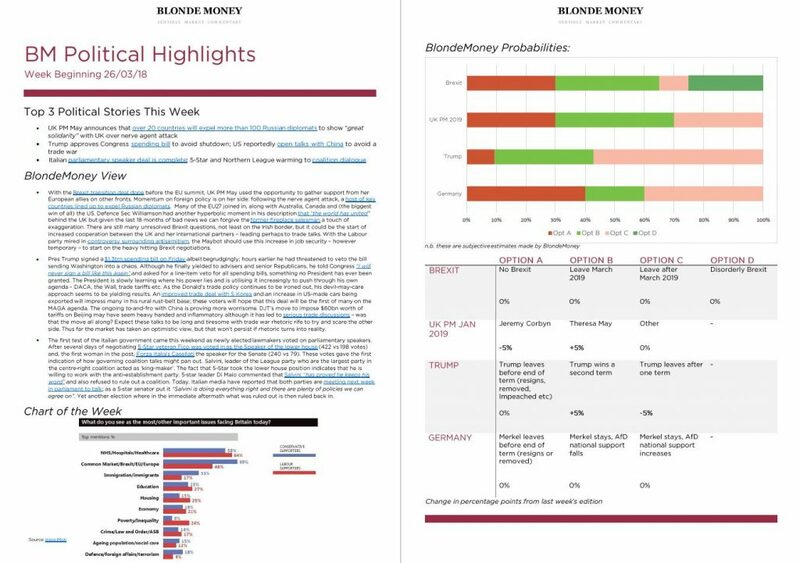 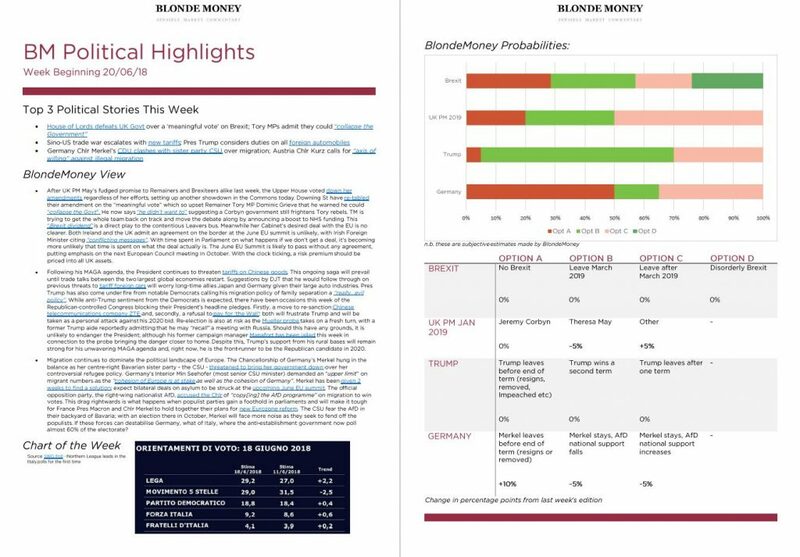 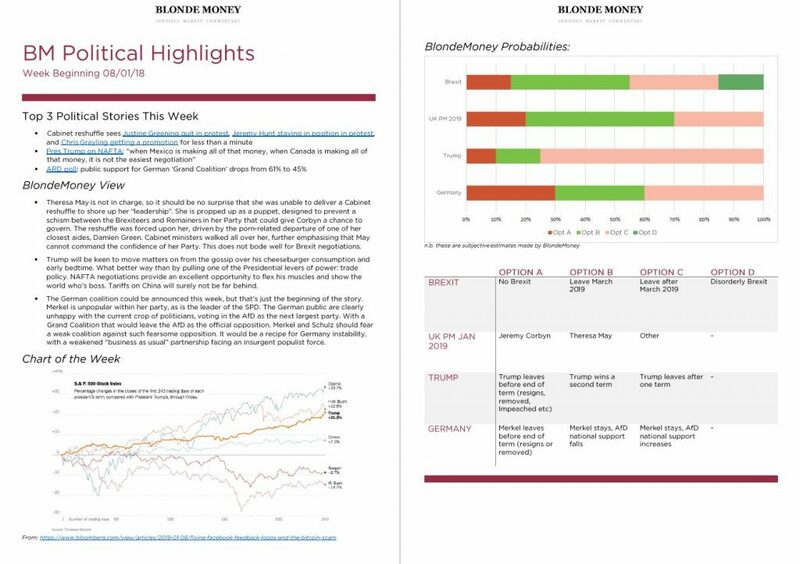 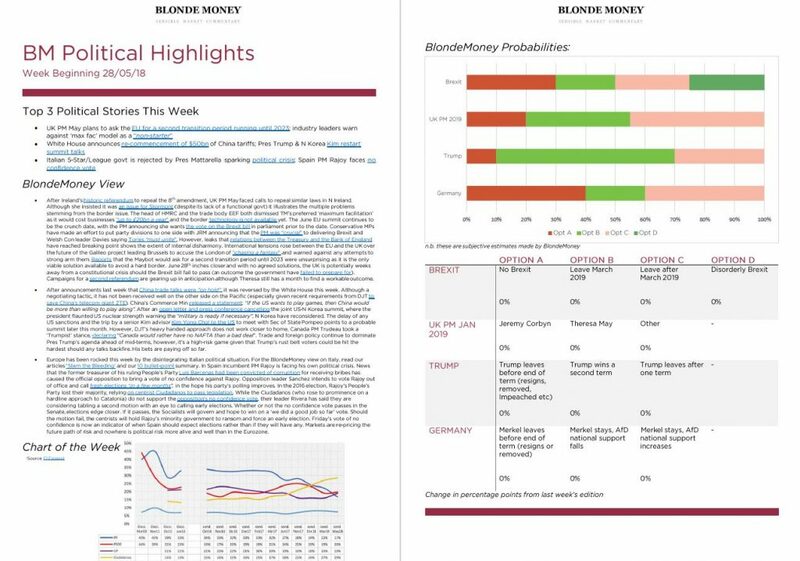 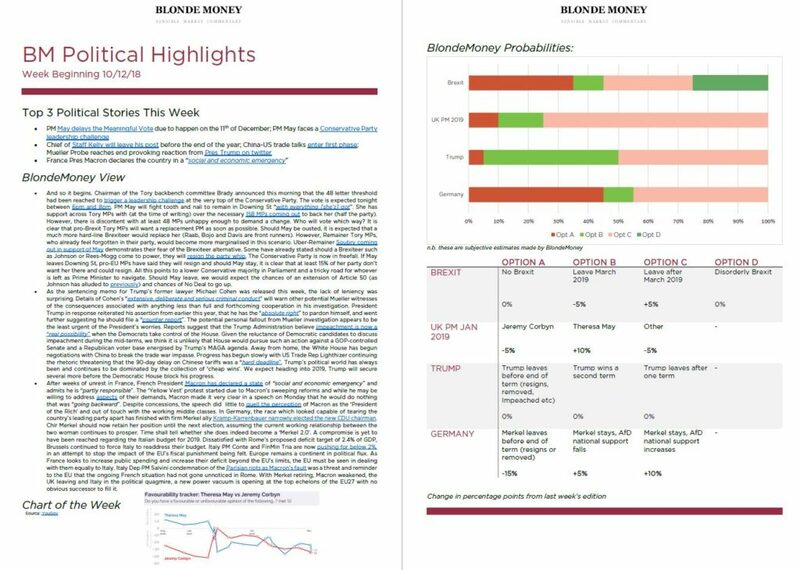 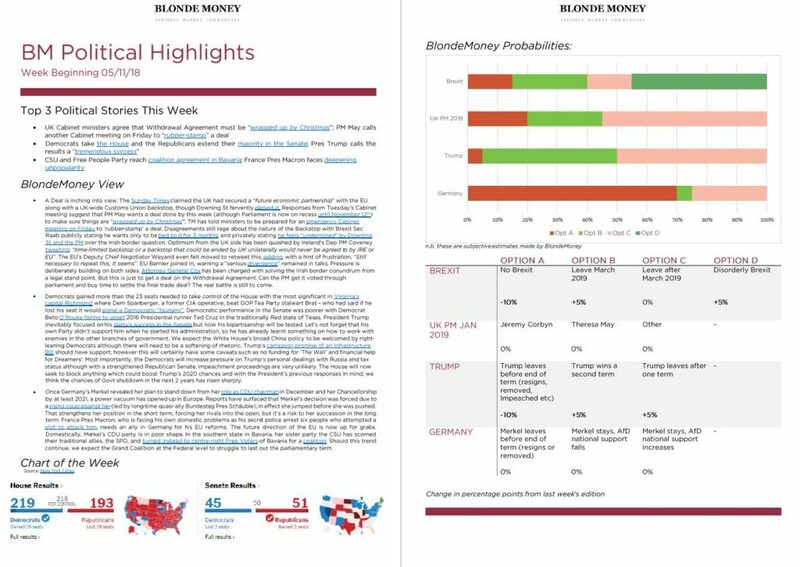 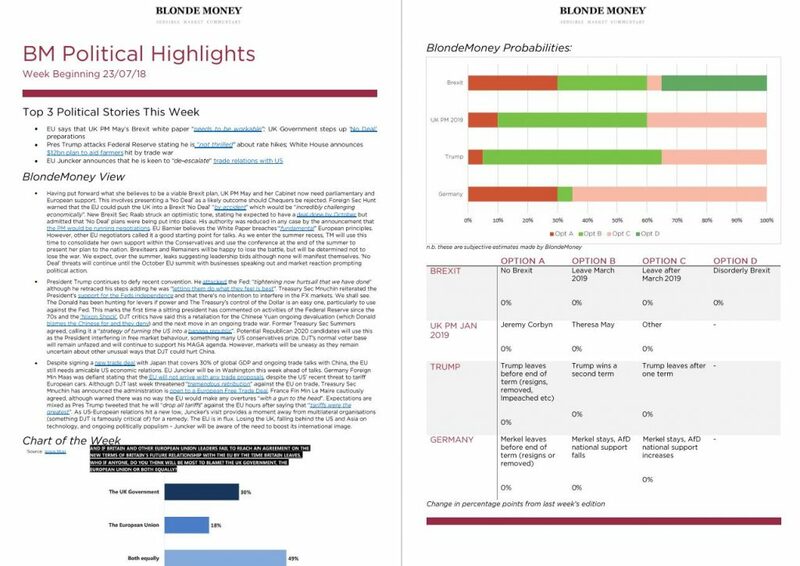 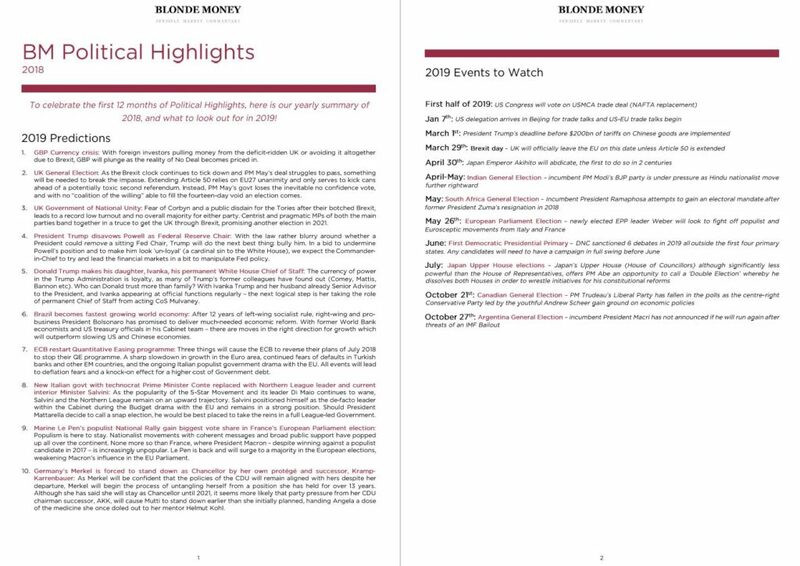 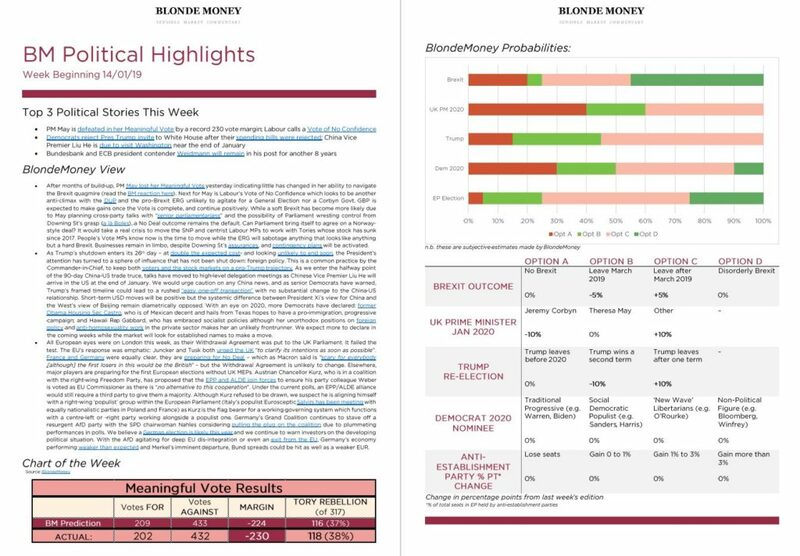 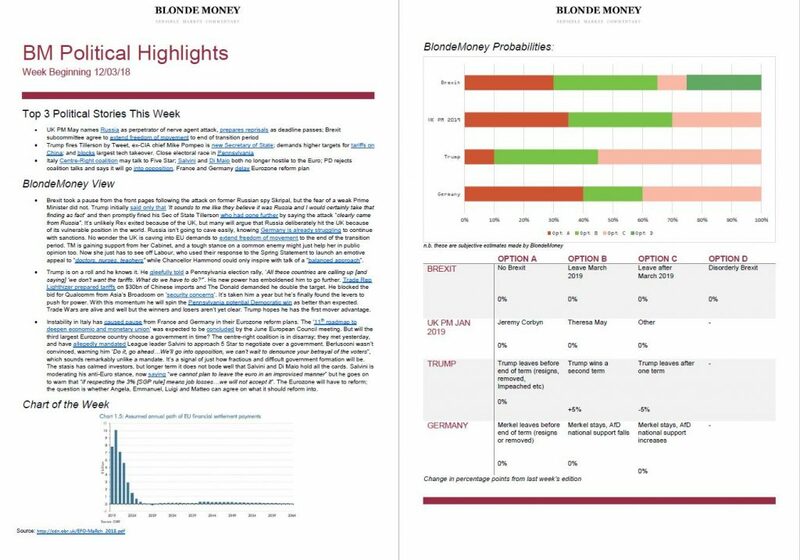 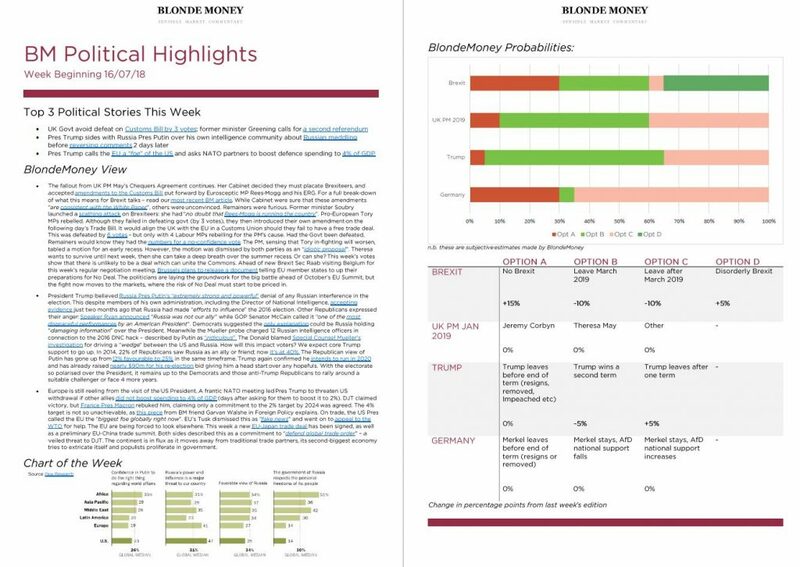 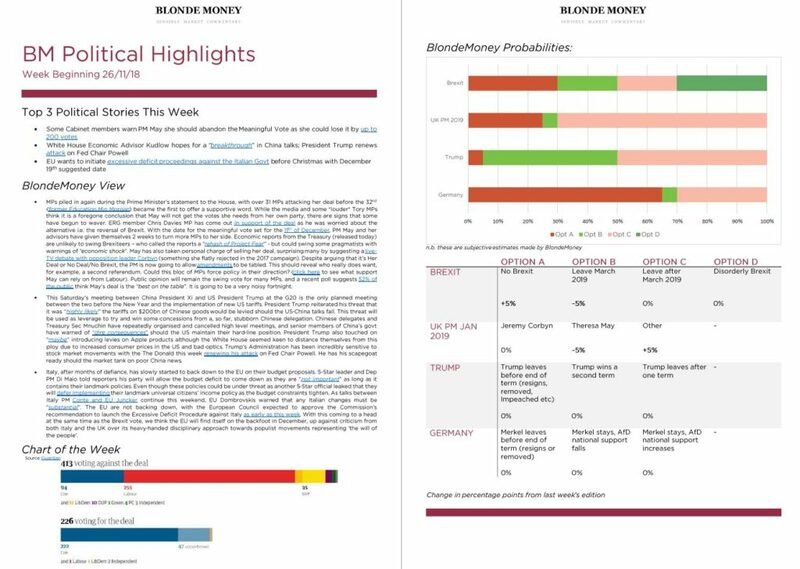 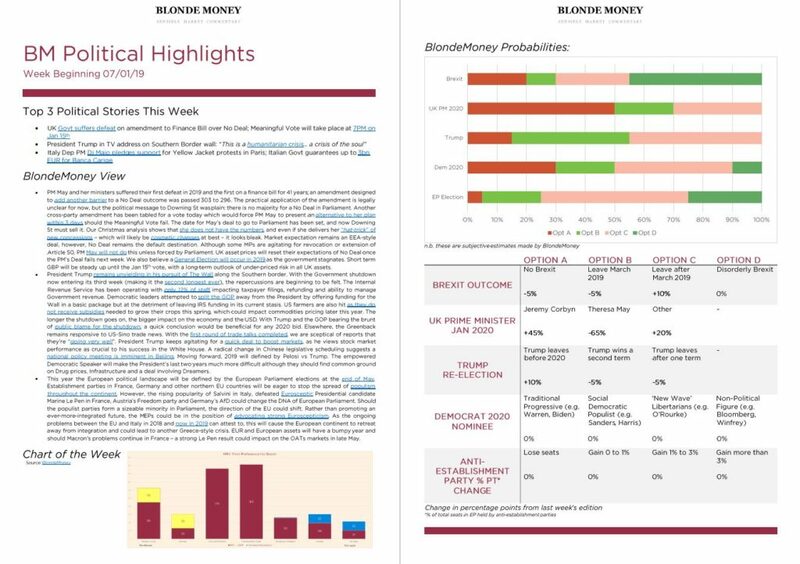 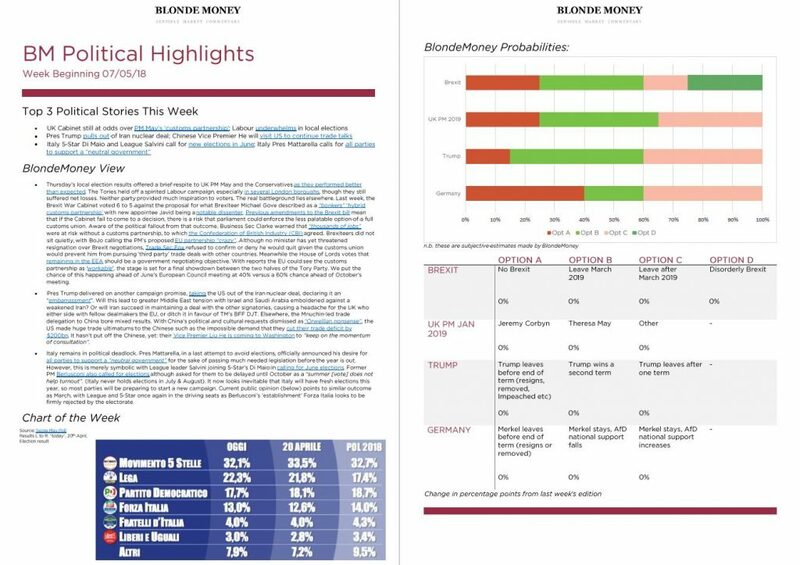 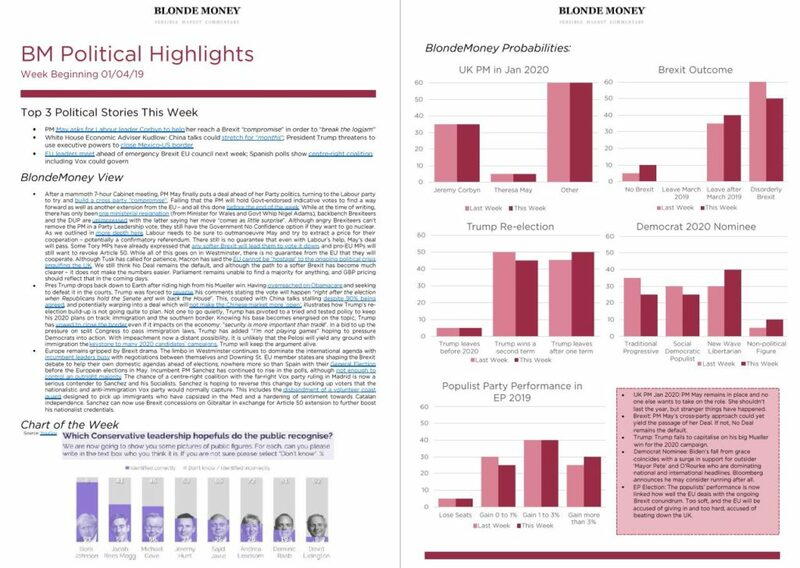 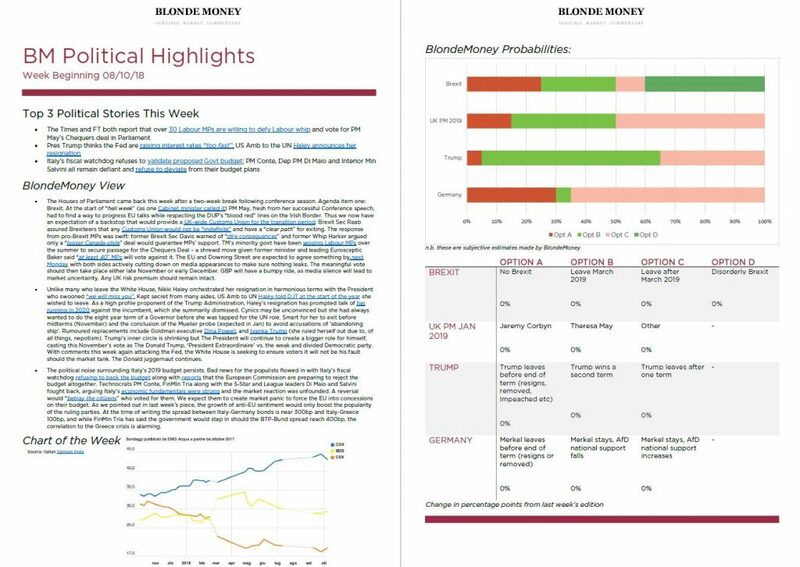 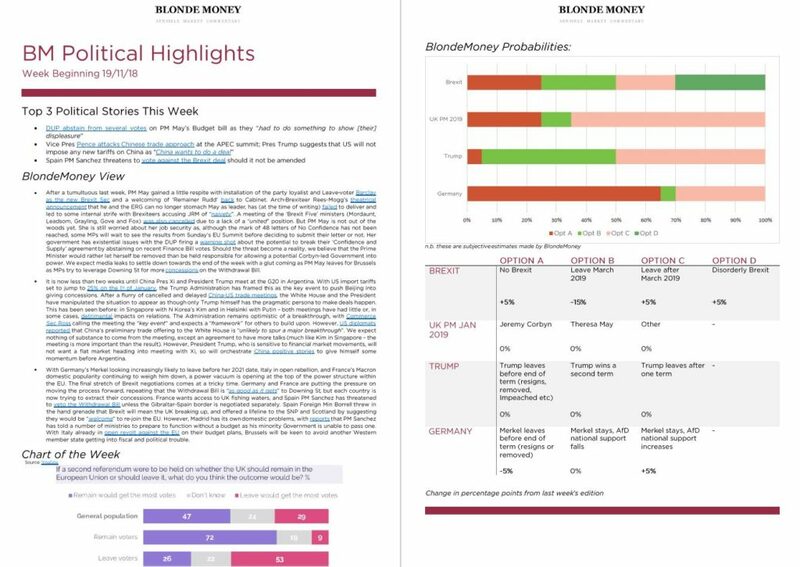 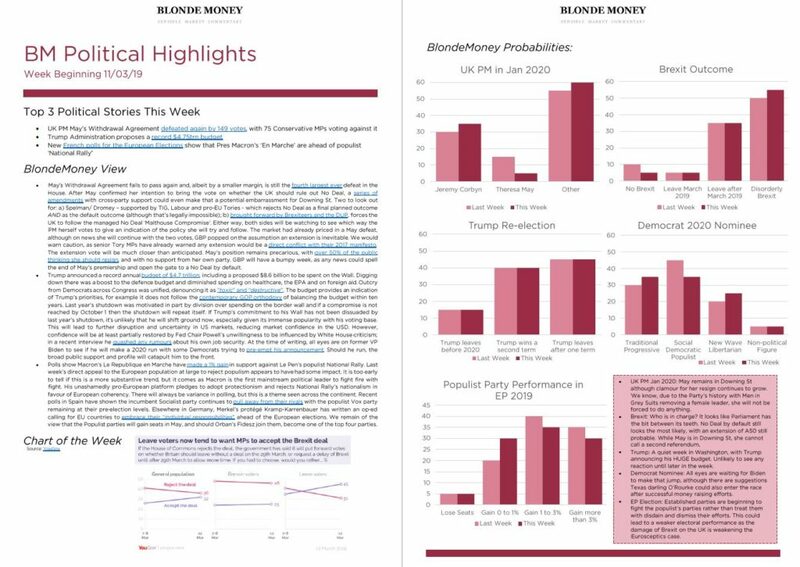 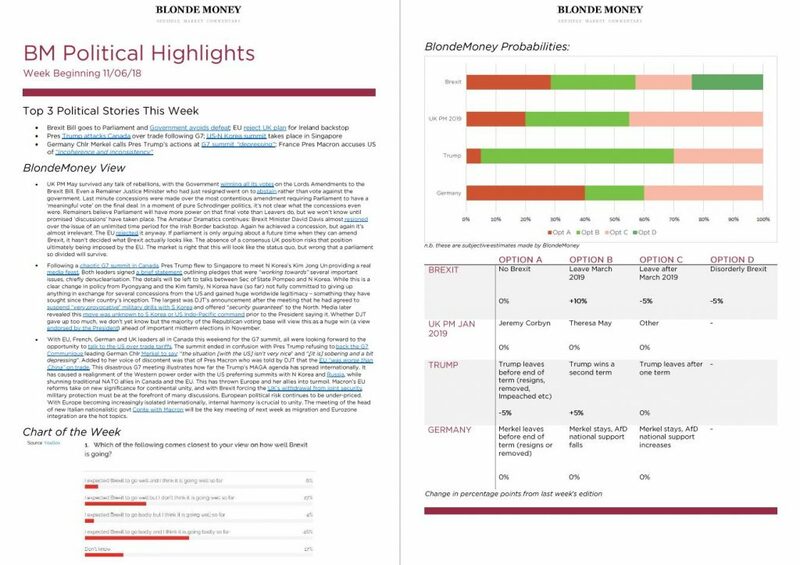 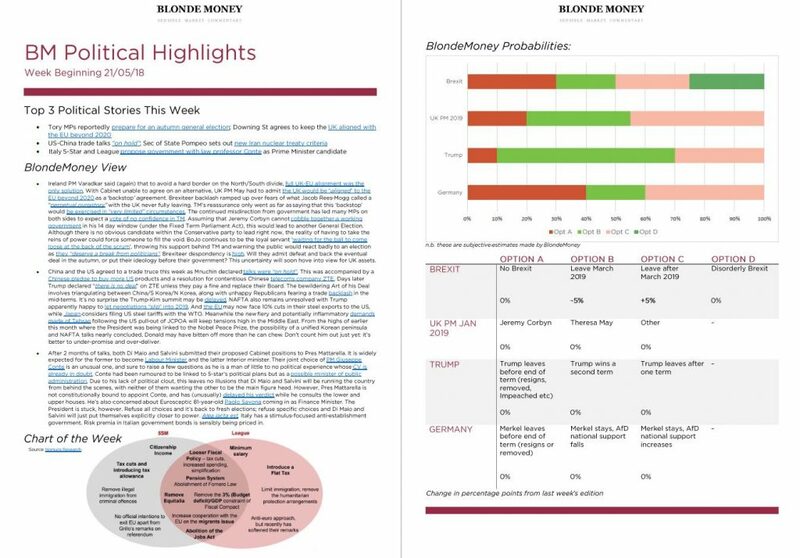 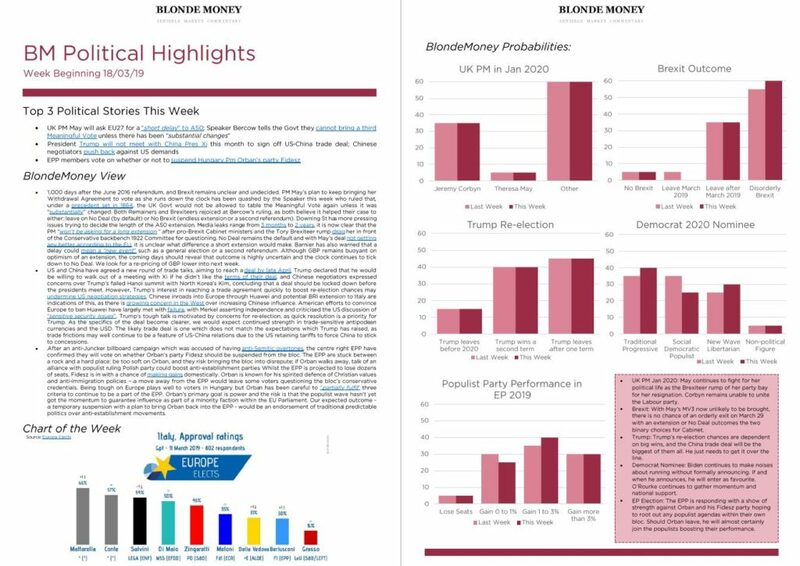 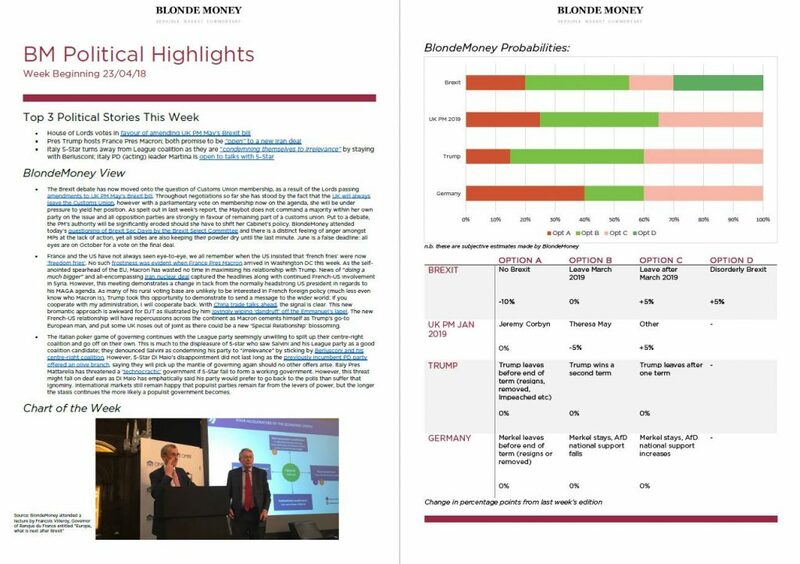 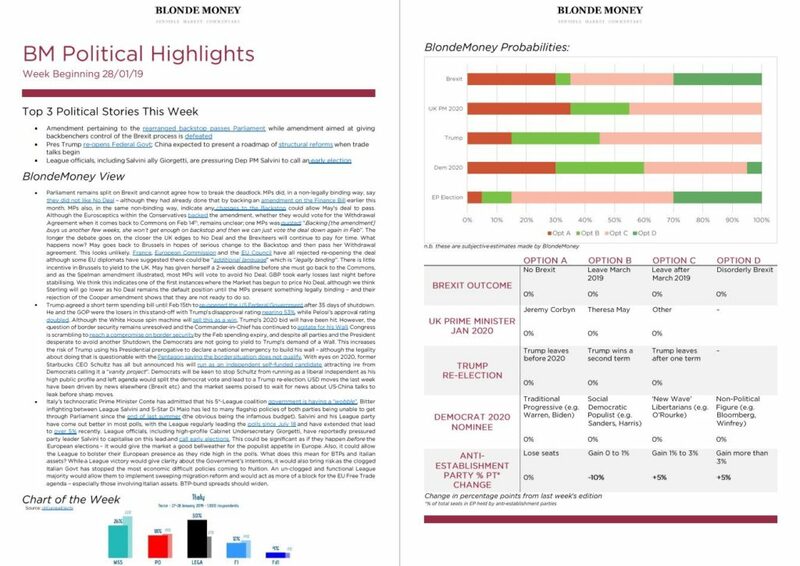 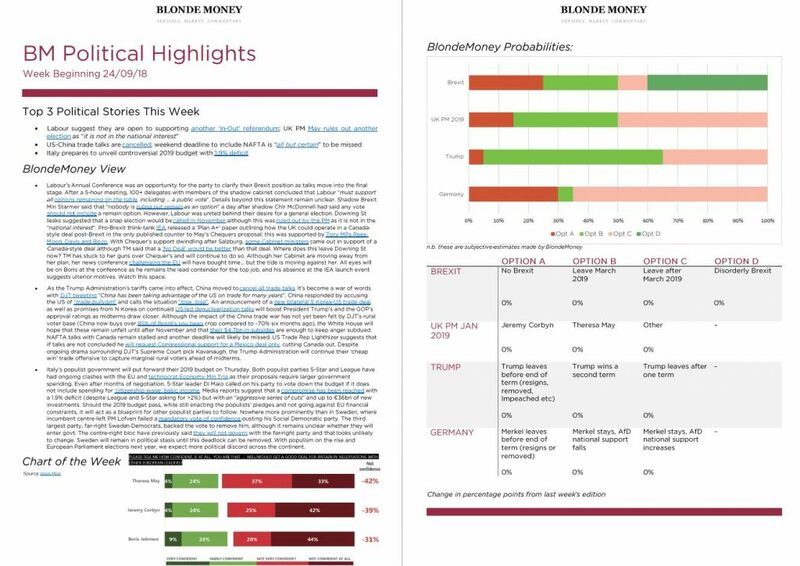 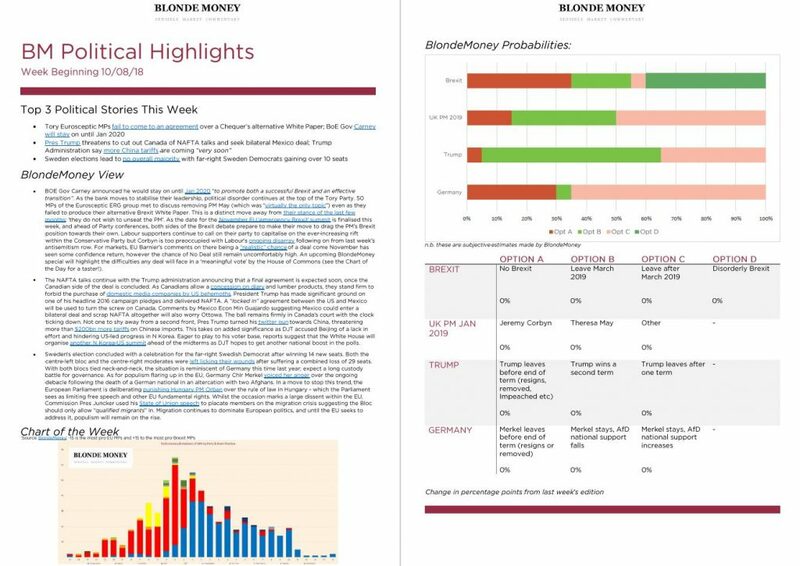 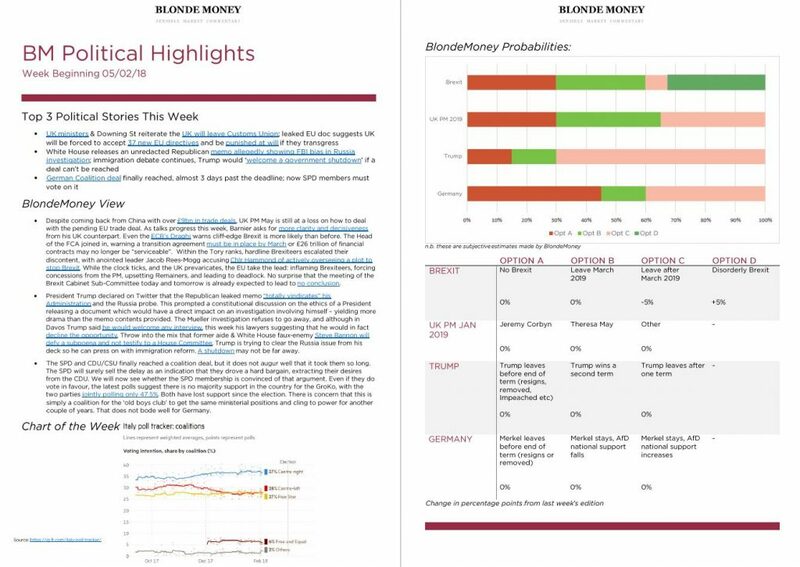 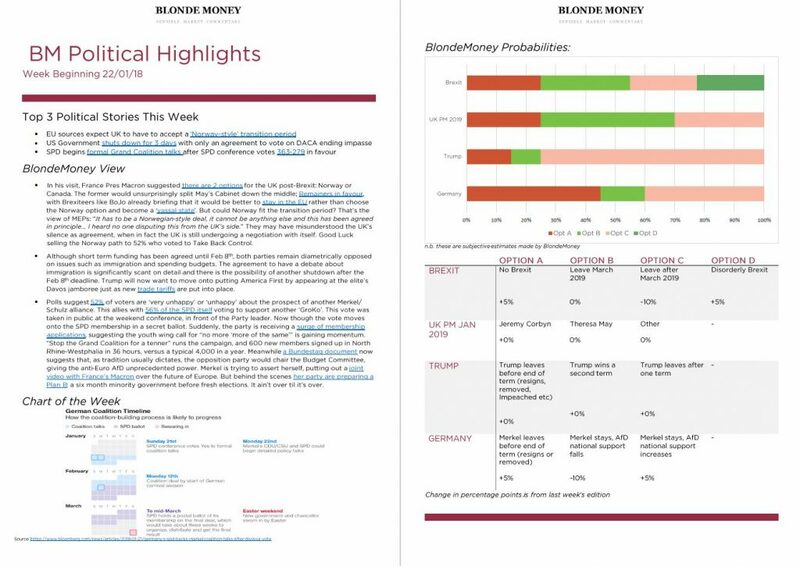 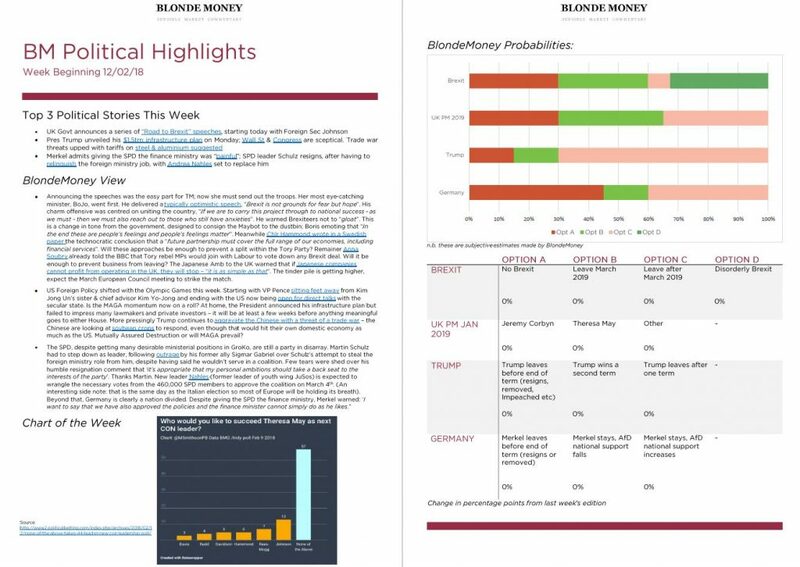 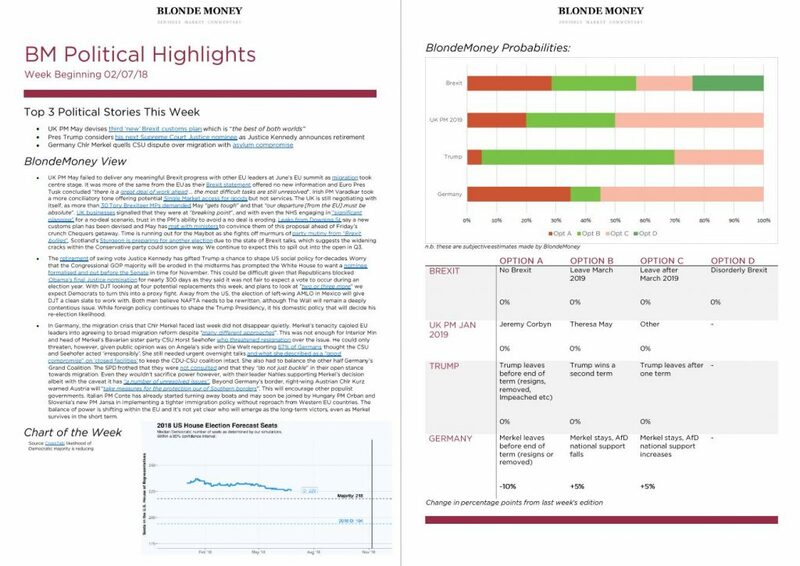 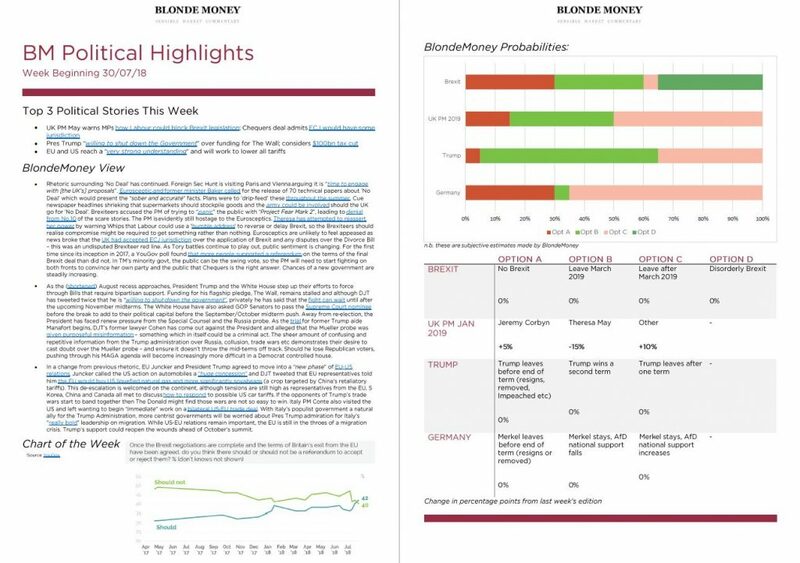 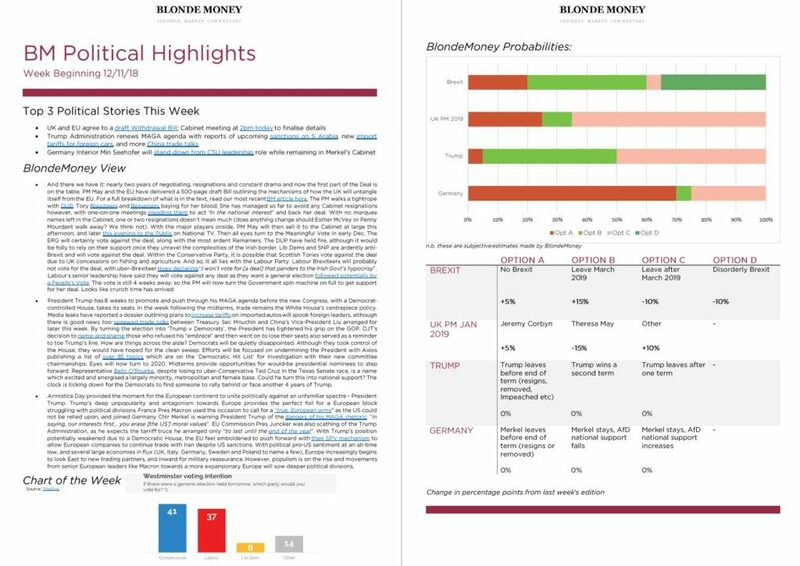 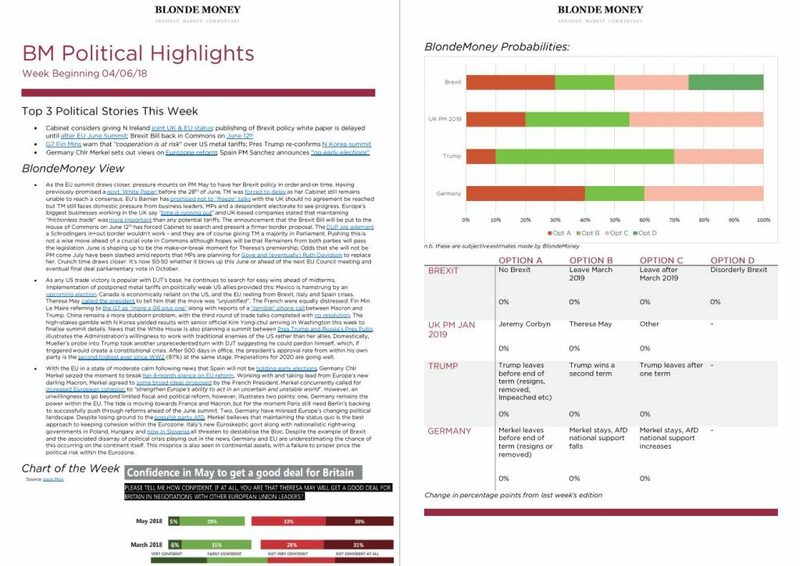 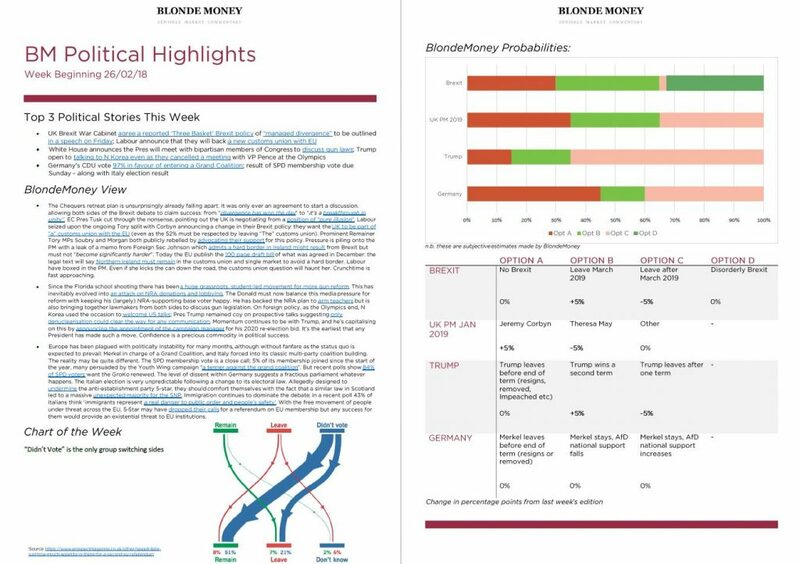 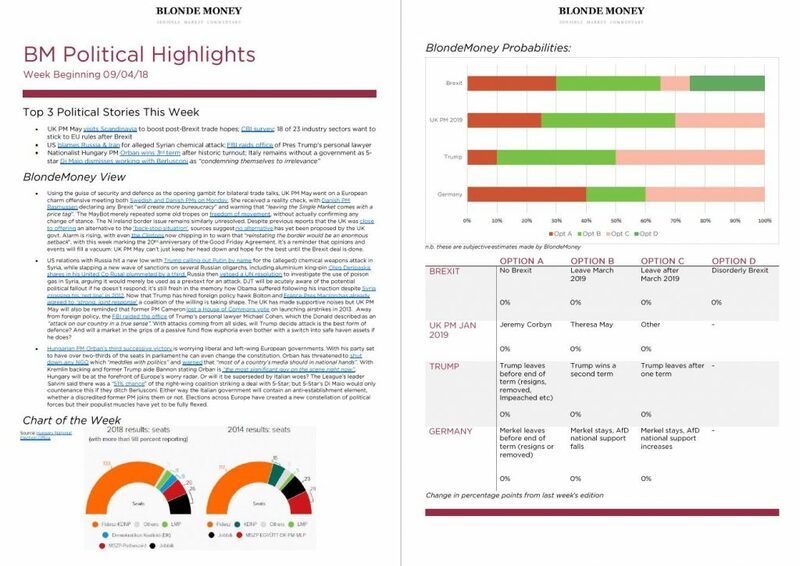 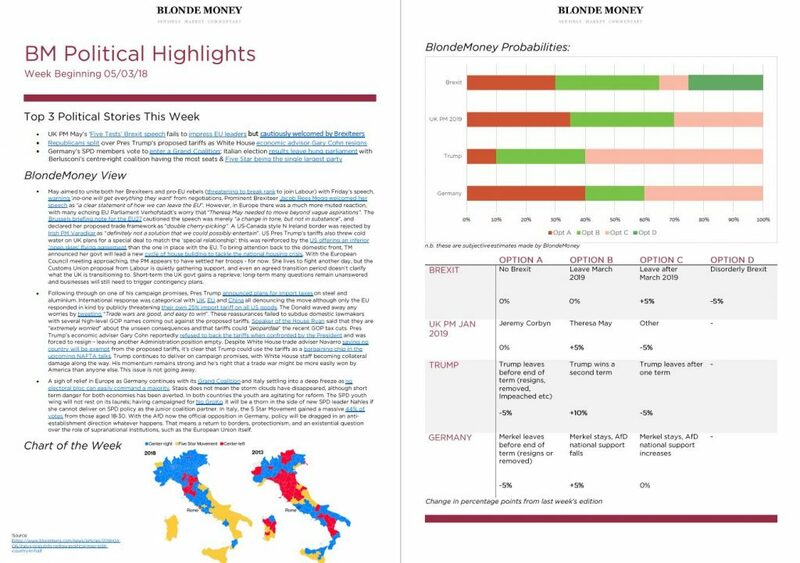 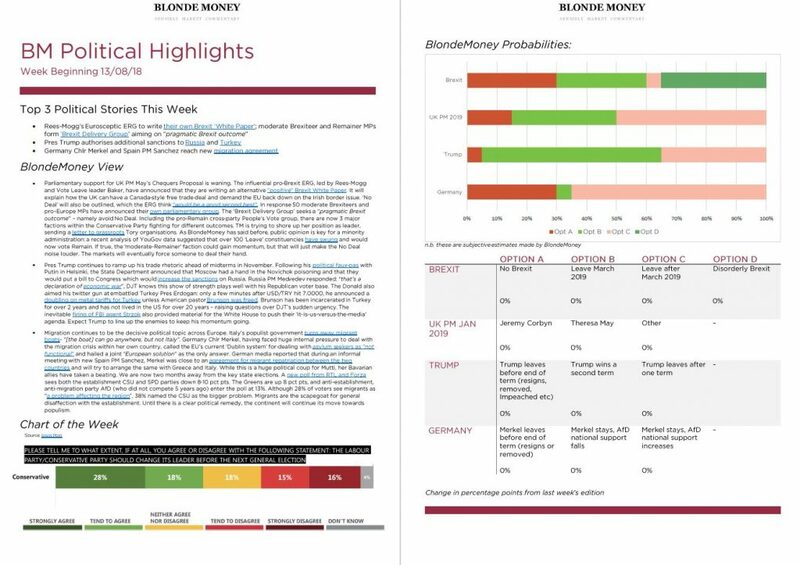 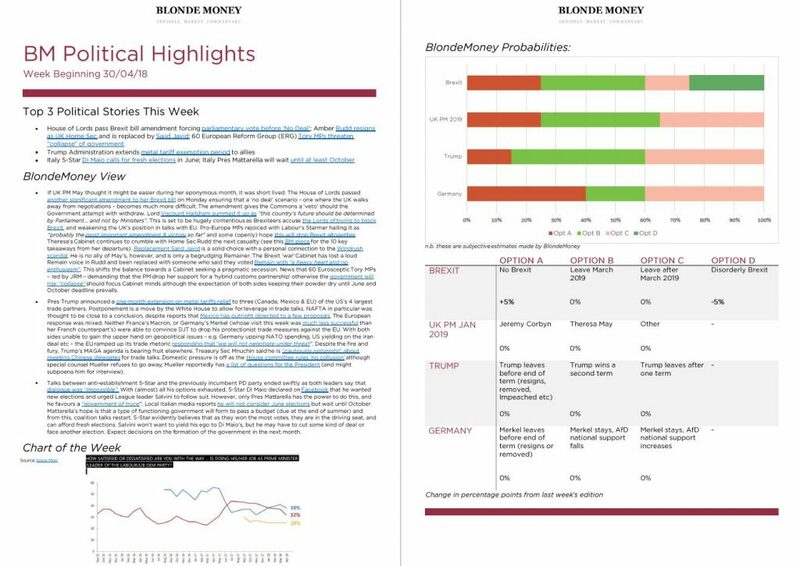 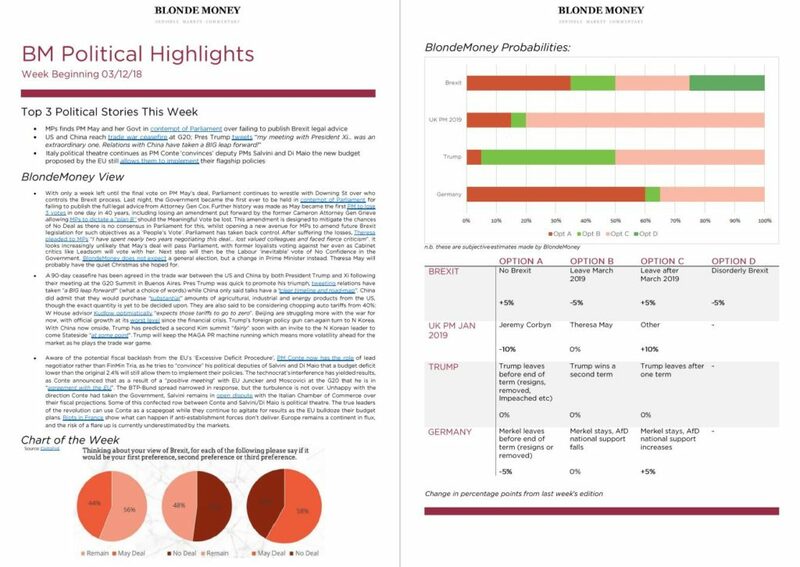 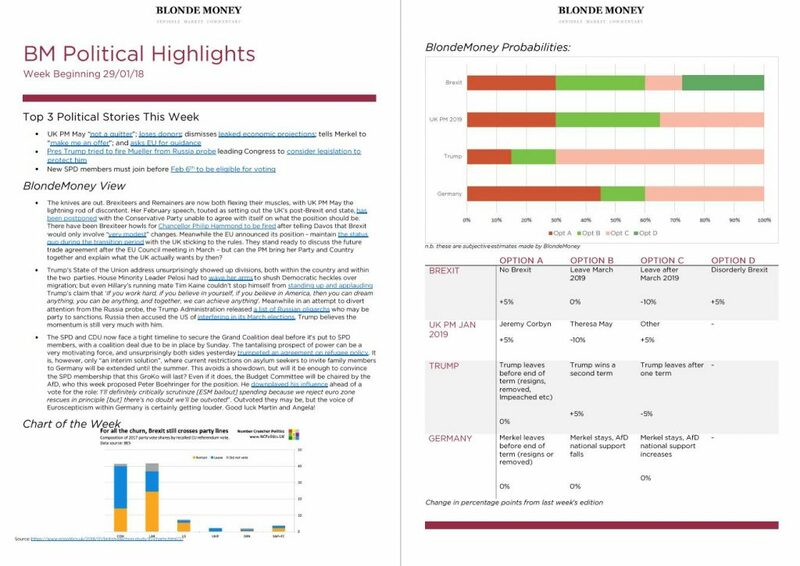 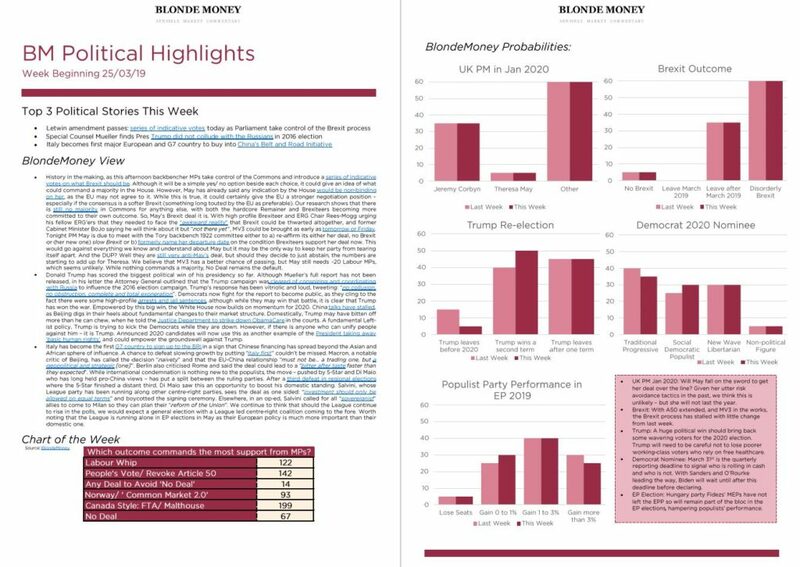 Each edition includes our own BlondeMoney probability matrix, charting the likelihood of various political events taking place.